Finish rigging the main tentacle rig. 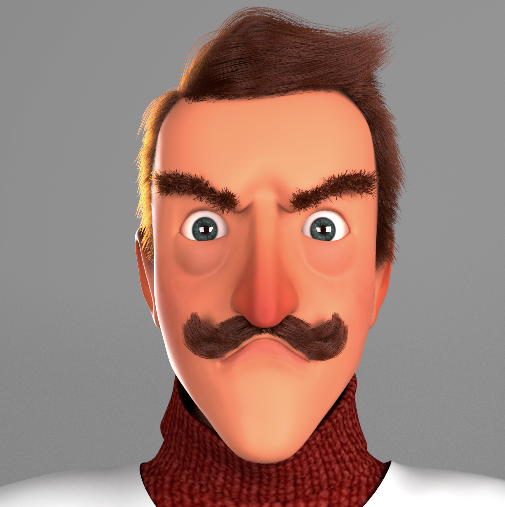 Help attach the hair and mustache. I finished rigging the tentacle. I added a lot of control similar to Evans rig that was given to our team as example of a tentacle rig. The main body of the tentacle rig has Ik and Fk controls. It has the ability to stretch. It also has a sine deformer. I attempted to have Ik and Fk controls for moving the tentacle fingers individually and together. I could not get that to work so therefore the individual tentacle fingers have Ik controls and individual sine deformers. For moving the tentacles together the rig has Ik and Fk controls. Finally the tentacle fingers can twist together. Get the animators to look over the tentacle rig. Fix any issues with the tentacle rig.